Build trust, productivity, and an energized culture with live streaming town halls, branded video hubs, and video galleries that encourage personal exchanges. 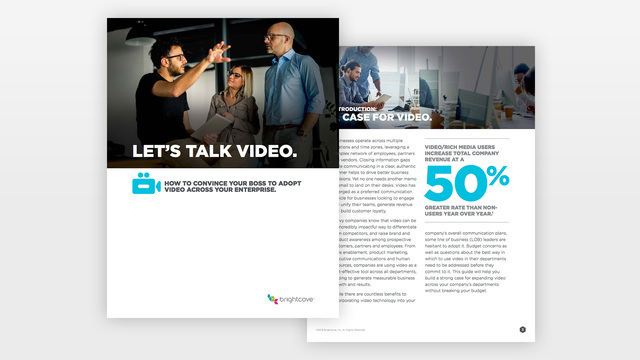 Video is a highly effective way for us to deliver a range of content and information to employees and franchise owners. We use Brightcove as our online platform. The video players easily and seamlessly embed into portals; we can change our featured video weekly and still showcase previous videos, keeping viewers engaged.